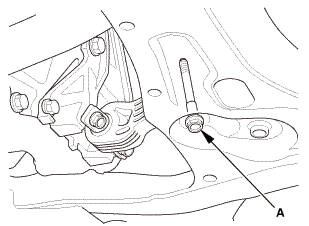 Loosen the locknuts and the adjusting screws (A). 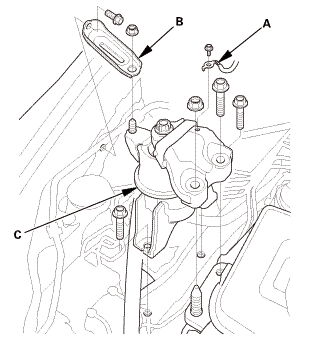 Remove the lost motion holder bolts. 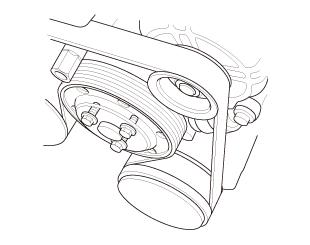 To prevent damaging the lost motion holder and the rocker shaft. 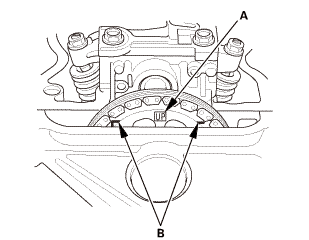 loosen the bolts, in sequence, two turns at a time. 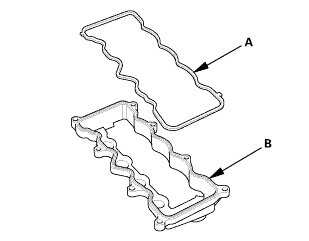 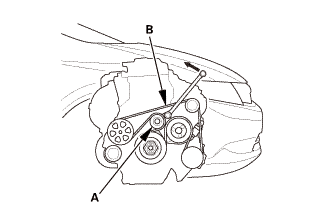 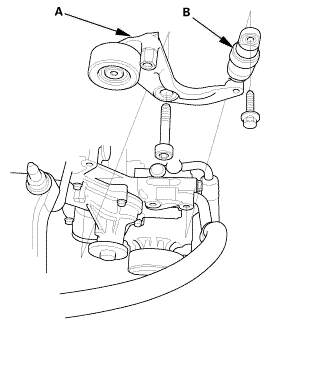 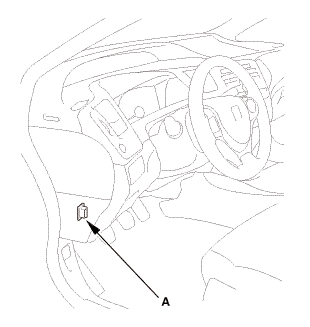 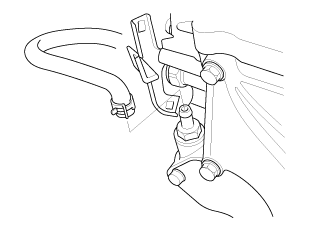 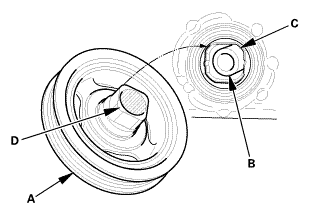 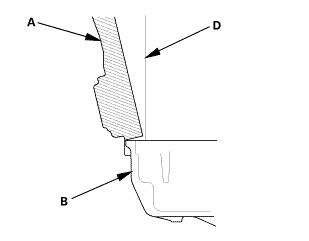 Remove the lost motion holder (A) and the lost motion assemblies (B). 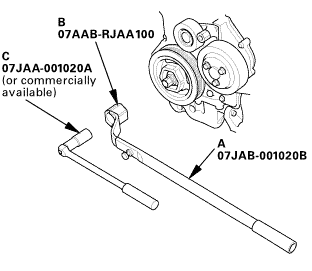 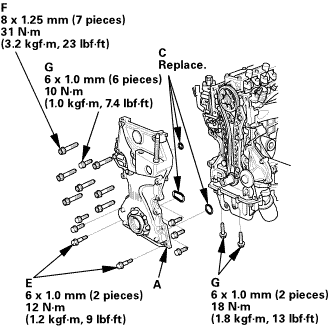 Remove the rocker arm assembly (C). 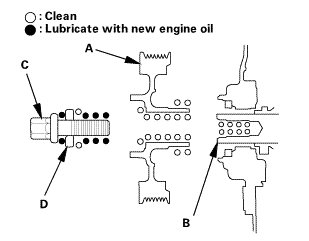 Remove the oil control orifice (D). 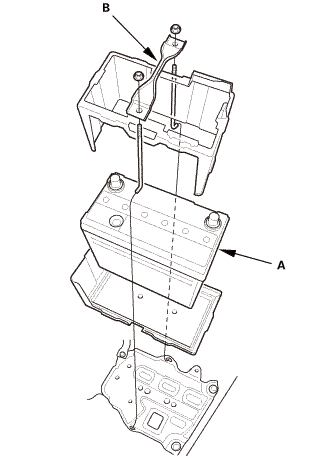 Identify parts as they are removed so they can be reinstalled in their original locations. Inspect the rocker shaft and the rocker arms. 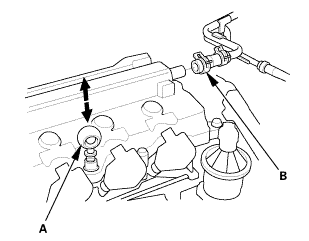 When removing, or installing the rocker arm assembly, do not remove the camshaft holder bolts. 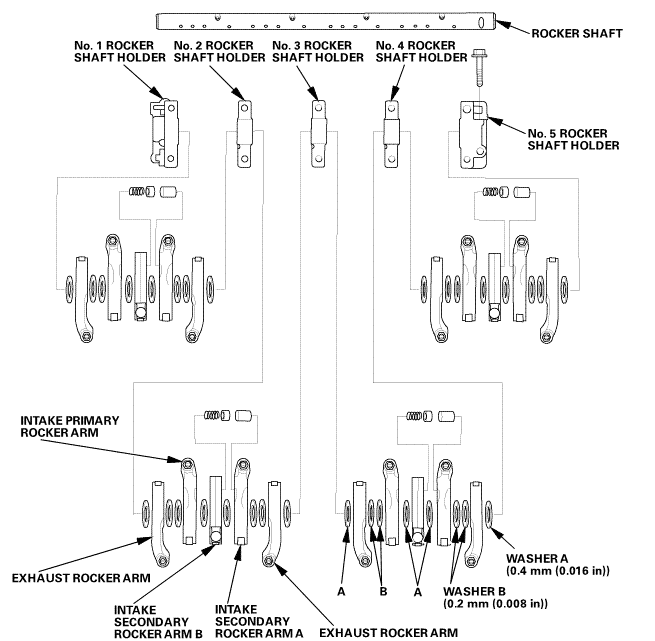 The bolts will keep the holders and the rocker arms on the shaft. 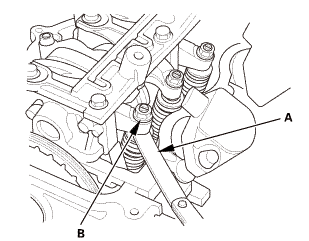 Remove the rocker shaft bolt before removing the rocker shaft from the No. 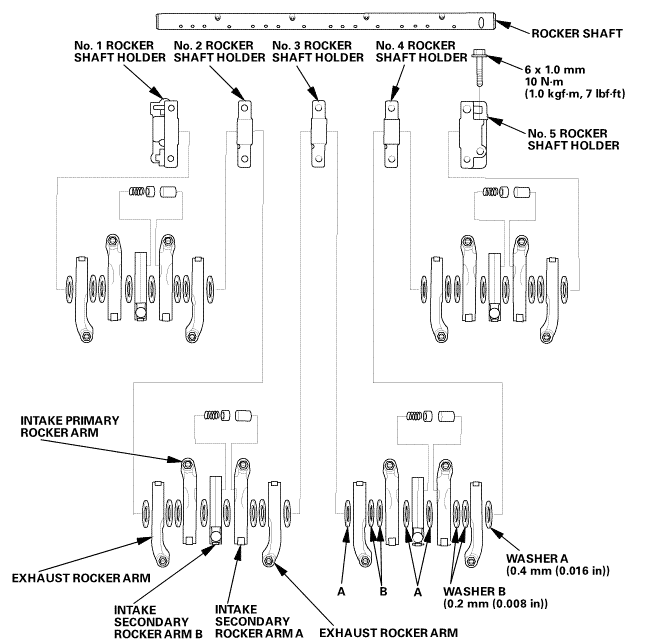 5 rocker shaft holder. 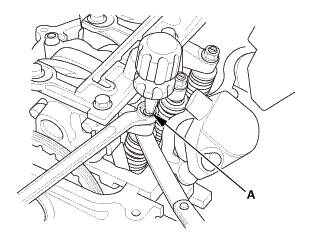 Bundle the intake and the exhaust rocker arms with rubber bands to keep them together as a set, and remove the bands after the intake and exhaust rocker arms have been installed. 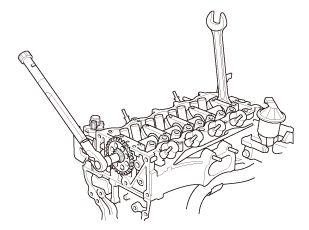 Hold the camshaft with a 27 mm open-end wrench. 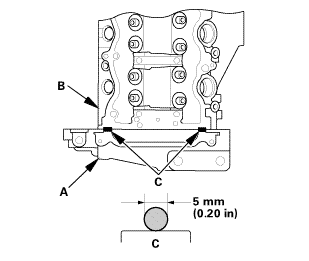 loosen the camshaft sprocket mounting bolt. 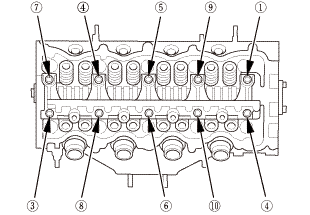 Put the rocker shaft holders and the lost motion holder on the cylinder head, then tighten the bolts, in sequence, to the specified torque. 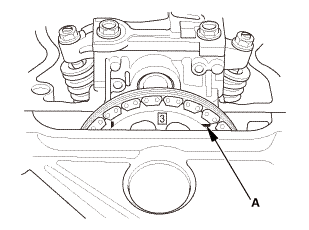 Seat the camshaft by pushing it away from the camshaft pulley end of the cylinder head. 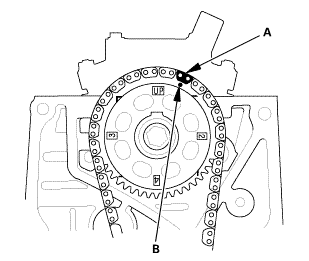 Zero the dial indicator against the end of the camshaft, then push the camshaft back and forth, and read the end play. 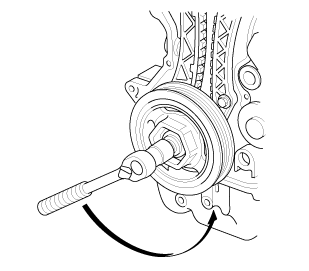 If the end play is beyond the service limit, replace the thrust cover and recheck. If it is still beyond the service limit, replace the cylinder head. 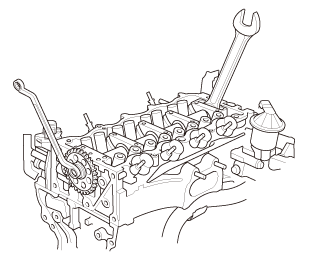 If it is still beyond the service limit, replace the camshaft. 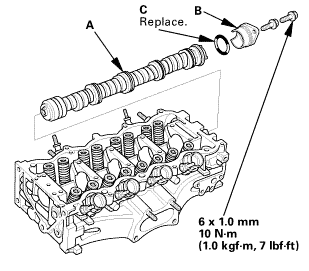 NOTE: Do not rotate the camshaft during inspection. Remove the camshaft thrust cover (A). 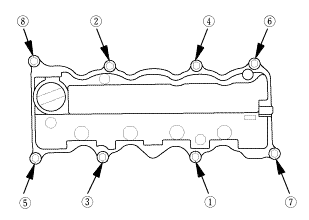 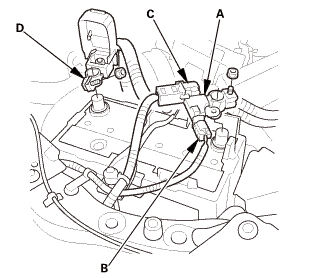 Pull out the camshaft (B). 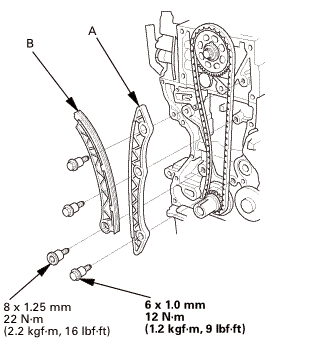 Wipe the camshaft clean, then inspect the lift ramps. 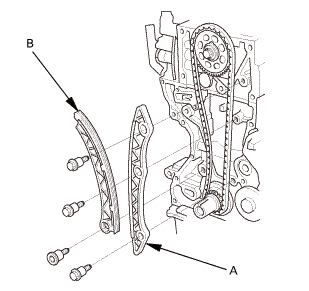 Replace the camshaft if any lobes are pitted, scored, or excessively worn. 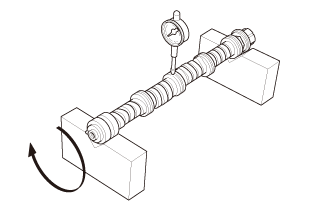 Measure the diameter of each camshaft journal. 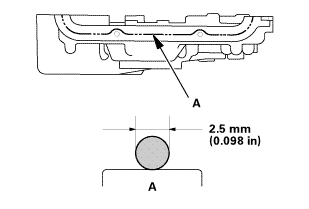 Zero the gauge to the journal diameter. 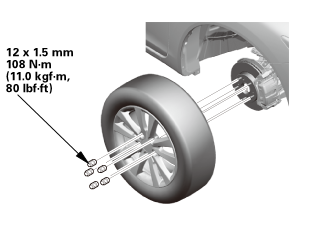 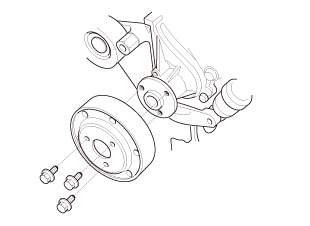 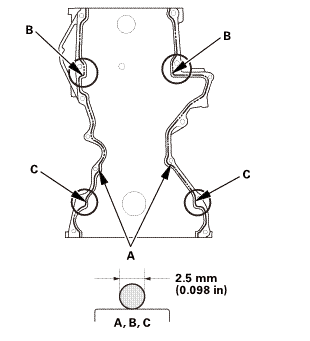 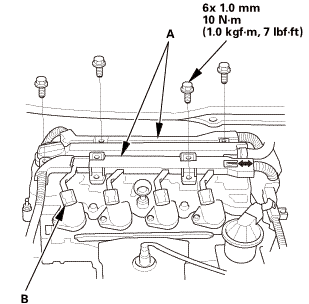 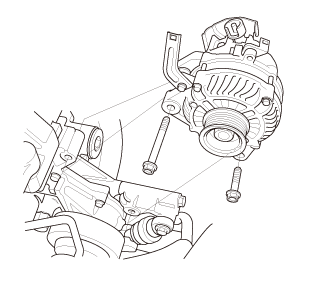 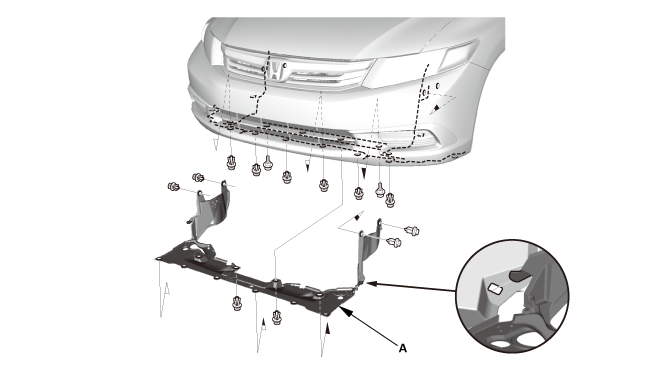 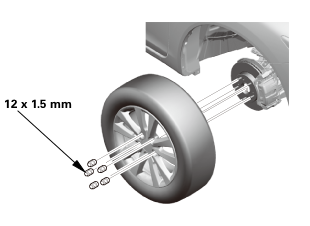 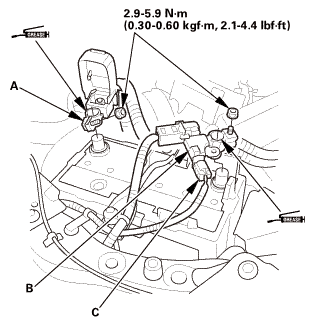 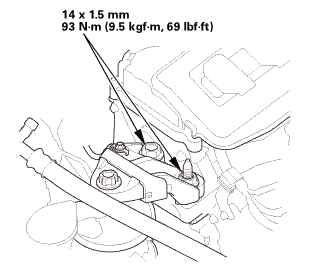 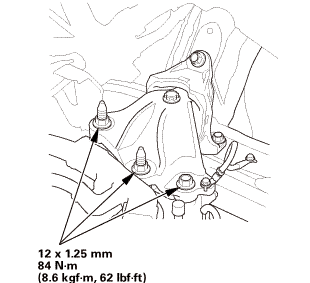 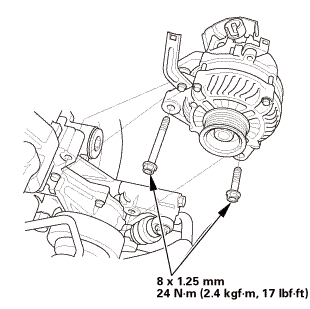 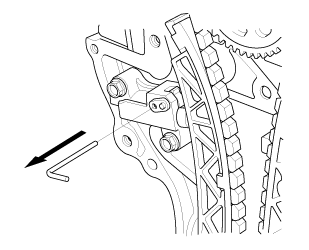 If the camshaft-to-holder clearance is within limits, go to step 6. 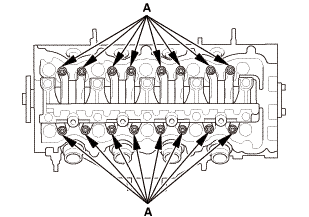 If the camshaft-to-holder clearance is beyond the service limit, and the camshaft has been replaced, replace the cylinder head. 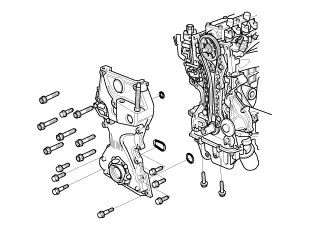 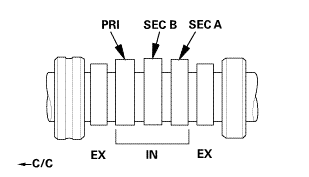 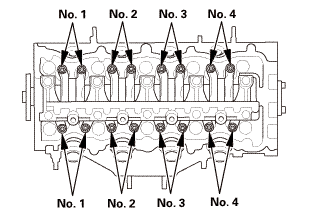 If the camshaft-to-holder clearance is beyond the service limit, and the camshaft has not been replaced, go to step 5. 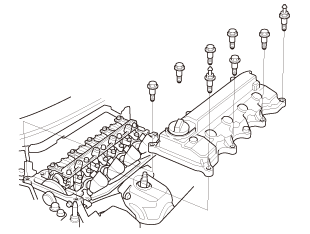 Check the total runout with the camshaft supported on V-blocks. 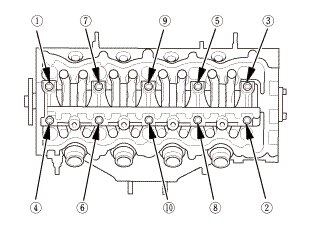 If the total runout of the camshaft is within the service limit, replace the cylinder head. 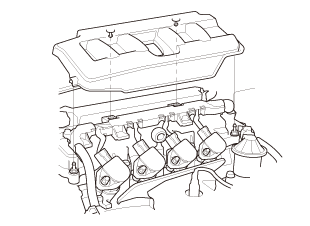 If the total runout is beyond the service limit, replace the camshaft, and recheck the oil clearance. 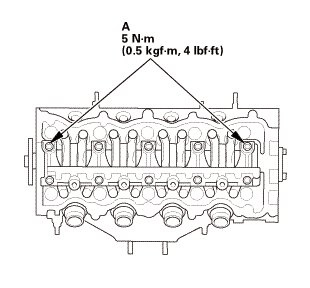 If the oil clearance is still beyond the service limit, replace the cylinder head. 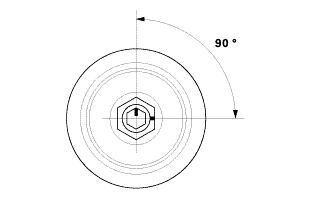 0.03 mm (0.0012 in) max. 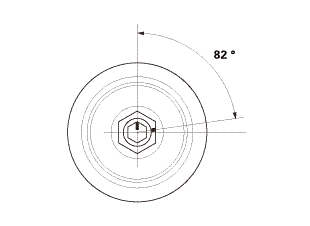 Measure the cam lobe height. 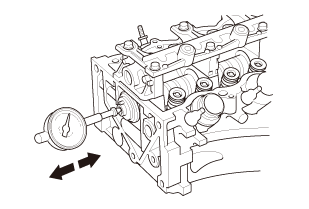 Install the camshaft thrust cover (B) with a new O-ring (C). 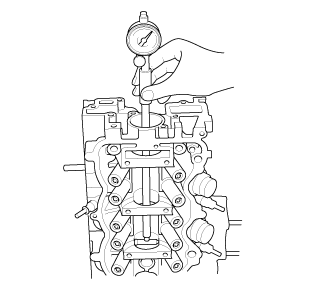 Apply new engine oil to the threads of the camshaft sprocket mounting bolt. 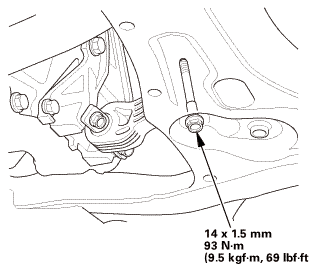 Install the camshaft sprocket mounting bolt. 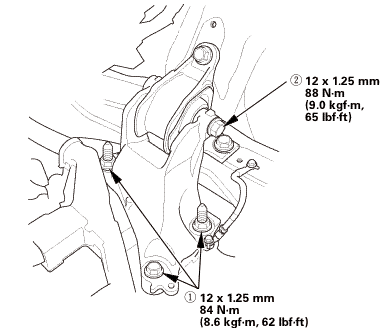 Tighten the camshaft sprocket mounting bolt. 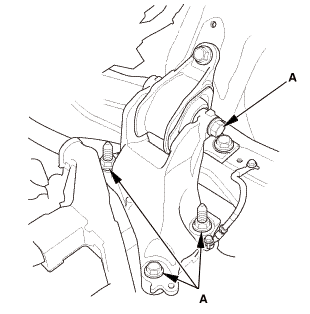 If reused, the rocker arms must be installed in their original locations. 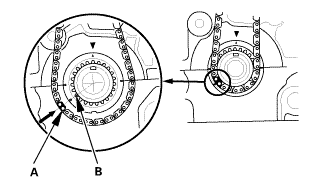 Prior to reassembling, clean all the parts in solvent, dry them, and apply new engine oil to all contact points, the bearing surface, and the lost motion assembly. 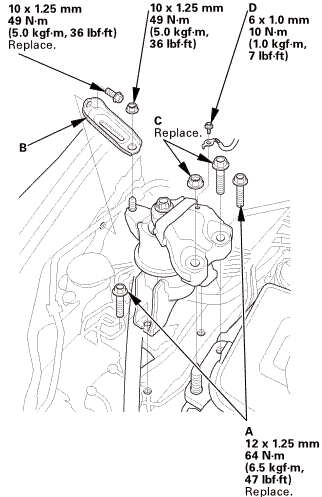 When replacing the rocker arm assembly, remove the fastening hardware from the new rocker arm assembly. 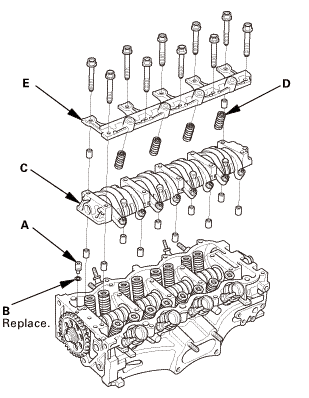 If the rocker arm assembly is disassembled, reassemble the rocker arm assembly. 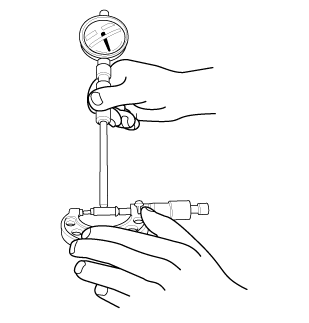 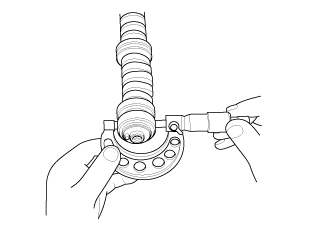 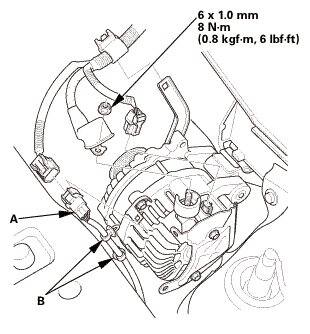 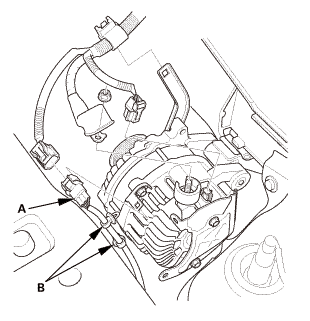 Install the oil control orifice (A) with a new O-ring (B). Install the rocker arm assembly (C). 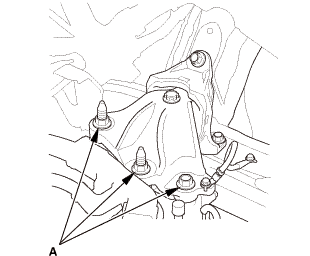 Install the lost motion assembles (D) and the lost motion holder (E). 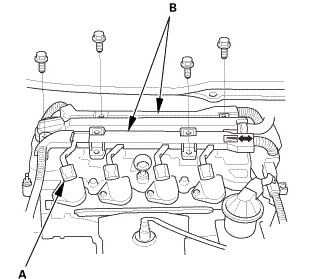 NOTE: Apply new engine oil to the lost motion assembly. 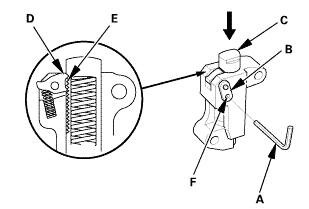 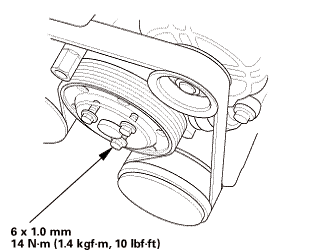 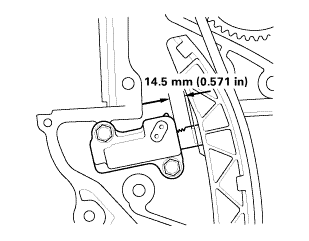 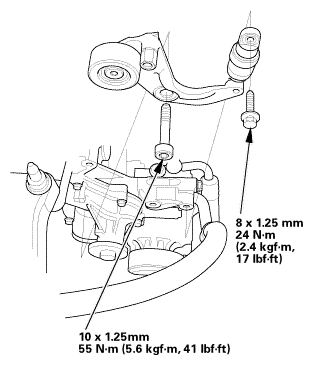 Tighten the two lost motion holder bolts (A). 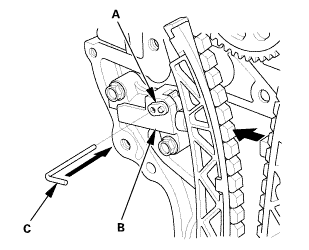 Tighten each bolts two turns at a time in sequence. 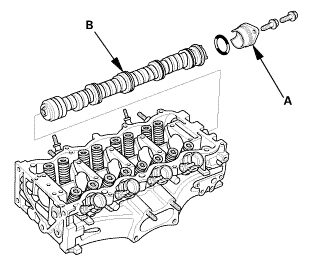 Set the camshaft to TDC. 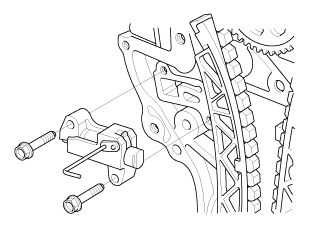 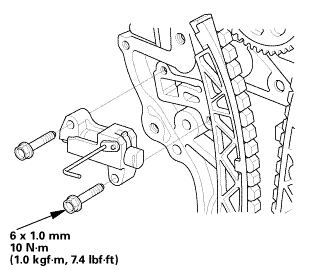 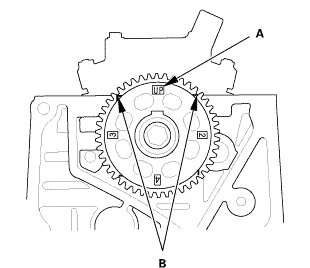 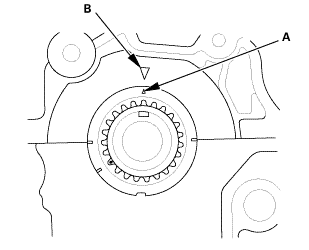 The ‘‘UP’’ mark (A) on the camshaft sprocket should be at the top, and the TDC grooves (B) on the camshaft sprocket should line up with the top edge of the head.